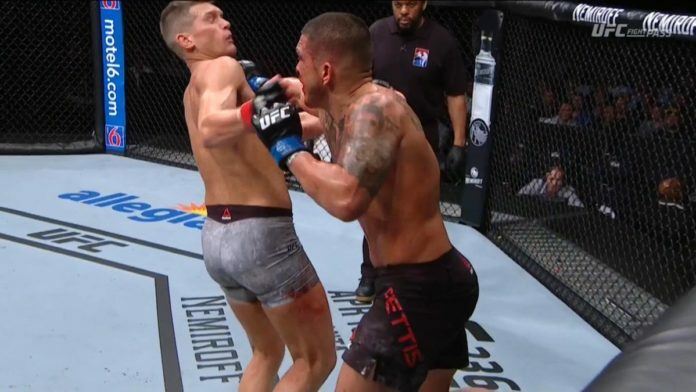 Anthony Pettis was back at it again and it came at the expense of Stephen Thompson. The two fighters met in a welterweight bout at the UFC Nashville from the Bridgestone Arena in Nashville, Tennessee. In the second-round, Pettis hit a superman punch off the cage to KO the former title contender. MMA News is providing ongoing coverage of UFC Nashville. We’ve got you covered with live results, video highlights, and post-fight tidbits.